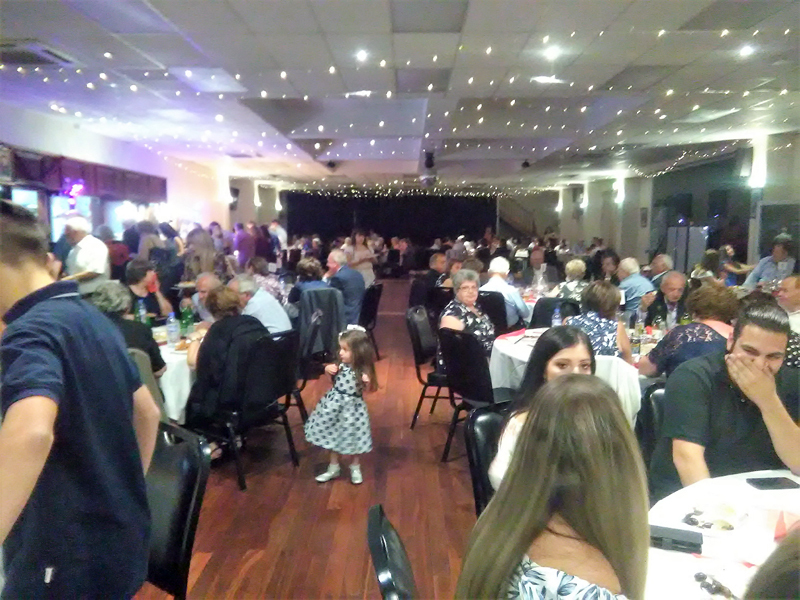 On Saturday the 23rd of March the Messinians of Adelaide gathered at the Memorial Gardens of the City of West Torrens in order to celebrate the liberation of Kalamata and commemorate this historic victory and milestone of the Greek War of Independence. The event began with the religious memorial service for the fallen heroes of revolution. Following the service which was conducted by the very Reverend Father Diogenis Patsouris the President of the Messinian Association Mrs Martha Ioannides spoke of the historic importance of the day and the sacrifices made by the Greeks to rid themselves of the yoke of the Ottoman Turks. After the speech, the President Mrs, Ioannides laid the first wreath. 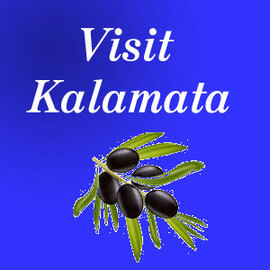 The dignitaries who attended followed, by laying their own wreaths to mark their observance for the Liberation of Kalamata. 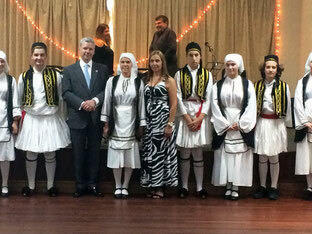 The official guests included the Consul of the Republic of Greece Mr Athanasios Mourousias, the Hon. 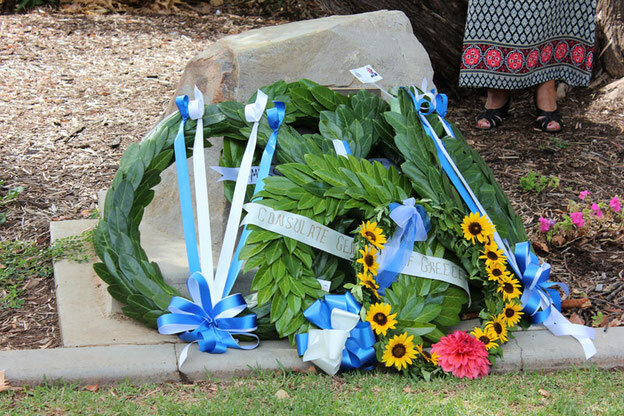 Mr. Tom Koutstandonis, MP, Mr. Steve Georganas’ representative (Member for Hindmarsh) and the Mr. George Vlahos Councillor of the City of West Torrens also paid their respects and laid wreaths to mark their observance for the Greek Independence Day. 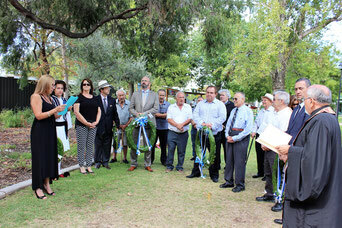 The ceremony concluded with the national anthems of Australia and Greece. 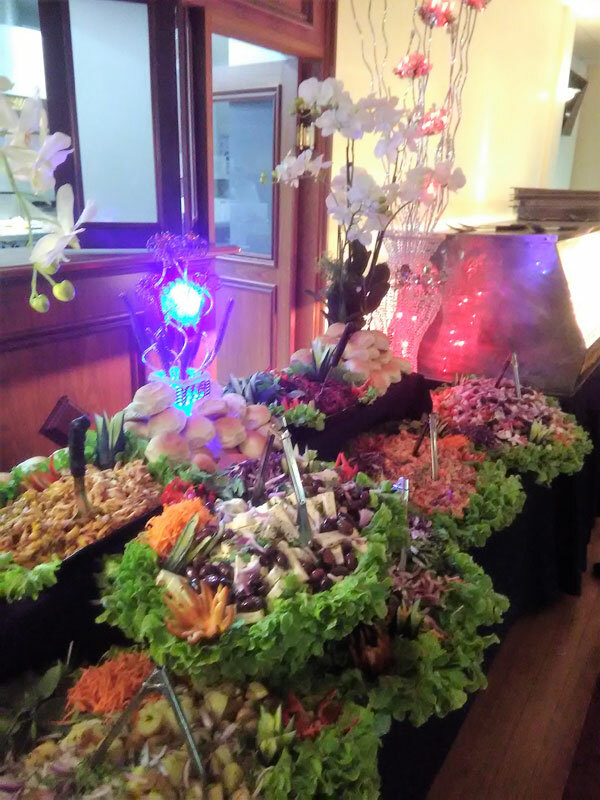 Refreshments and finger food was then served to all those who attended the ceremony. Angelos Bouzalas is one of the founders of our Association which was established 60 years ago in 1959. At the Annual General Meeting September 17th in 2017, by unanimous vote the members elected Angelos Bouzalas to the position of Honorary President of the Messinan Association of SA . 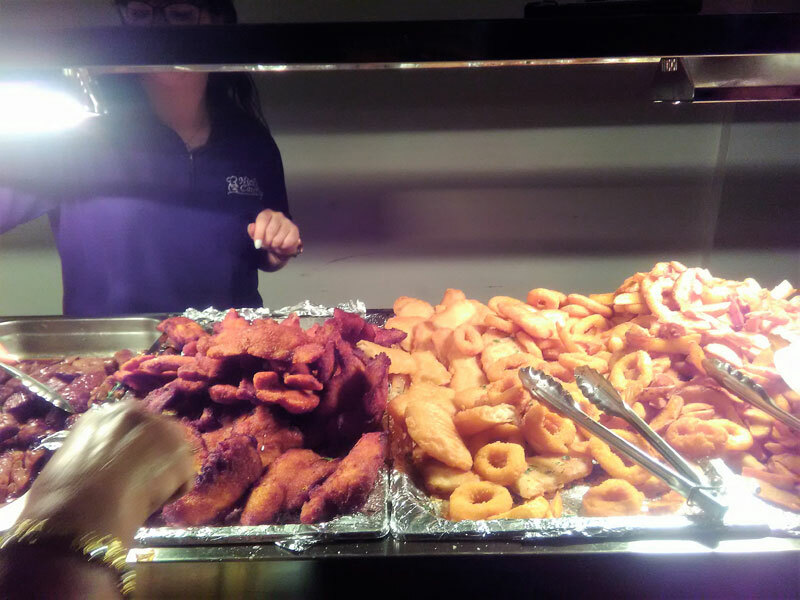 This appointment was announced and celebrated at the February 24th 2019 BBQ,. The Association's President Mrs. Martha Ioannides invested him as Honorary President, presenting him with a pin and certificate. 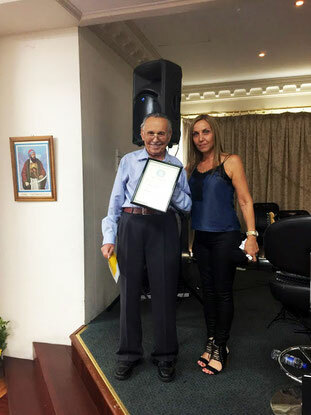 It is with deep sadness that Messinian Association of SA Inc mourns the passing of long-time Management committee member and friend George Mantis. George passed away on 24 November 2018 aged 58 years, after a valiant battle with a terminal illness. George believed deeply in the vision and the mission of the association which he served for his entire adult life with passion and unbounded devotion. 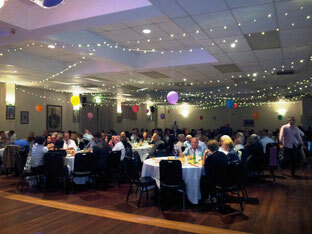 He was actively involved in all the Association’s activities and worked tirelessly for their success. It is important to mention that George spent most of his childhood in and around the Association’s events due to the fact that several members of his family were amongst the founders of the Association (which will celebrate its 60th anniversary this year). 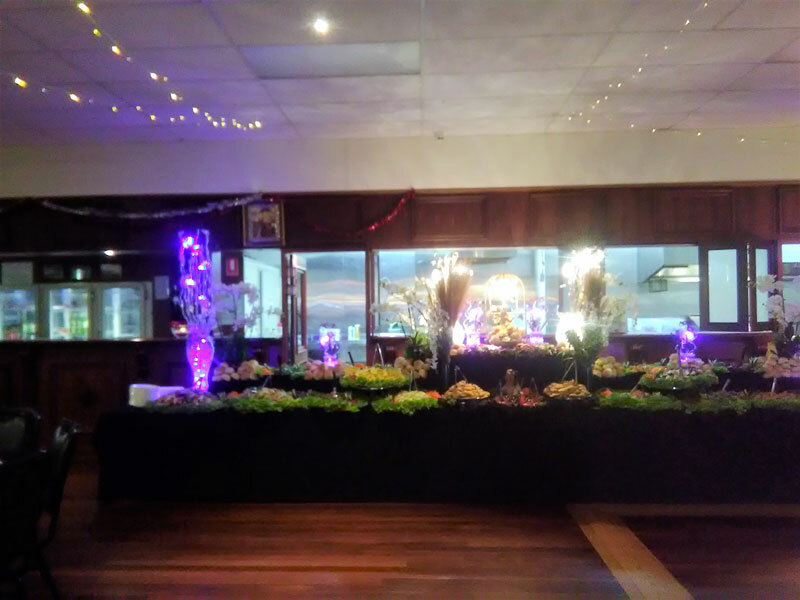 It was therefore not unusual that George followed in the footsteps of the founders and continued their work and service for the Messinians of South Australia. For many years George served on the Management Committee of the Association having held the position of President and Treasurer. 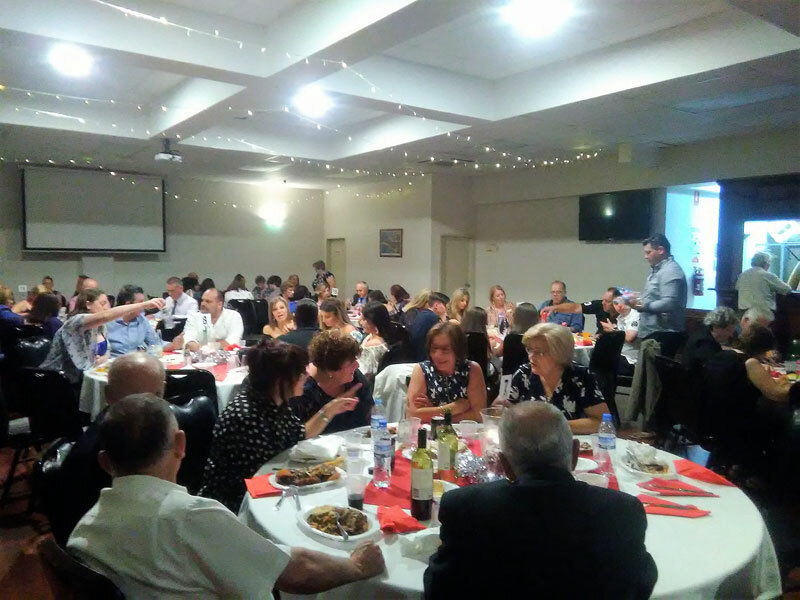 But George also believed in community engagement and lent his support to the recreational and cultural activities of the Messinian Association. In the late 80’s this led George to become a player with the Messinian Association Soccer club, the MA Hawks. Passionate about soccer both on and off, George was known to his team members as “Chichi Mendes “ a name given to him because of his audacious display as the right full back for the MA Hawks. After a few years with the Soccer Club, George focussed his attention on his son Kosta’s soccer path, but always would swing past the ground if there was a home game. Later he continued his work through his role as a committee member for the MA Hawks and played an instrumental role in organizing the MA Hawks 30th anniversary event last year. 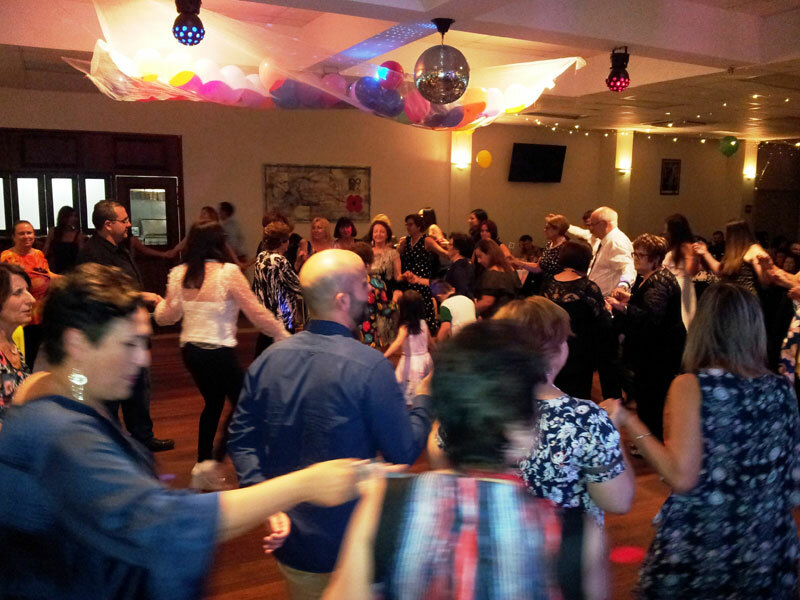 George was behind the idea to create a Messinian Dance School and on his instigation the Messinian Dance School was established in 2007. 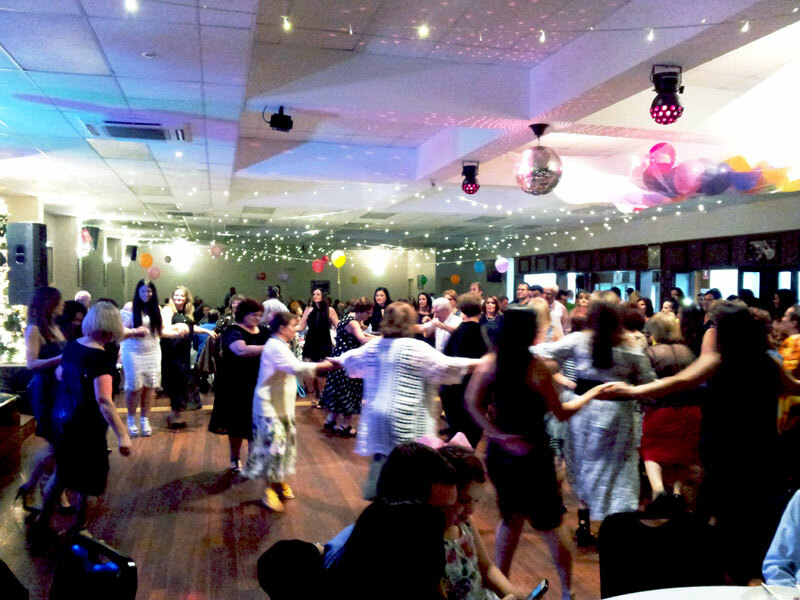 Today our dance group has grown into one of the largest Greek Dance groups in SA participating in many community festivals showcasing our Greek culture and honouring our Messinian heritage. The Messinian Association pays tribute to the life and service of George Mantis. His passing leaves a gaping hole in the hearts of many Messianians, from his fellow Committee Members, former team members, the volunteers, the Ladies Auxiliary and his friends. Loved by all he will be sorely missed but never forgotten. Once again the New Year’s Eve event was a great success. 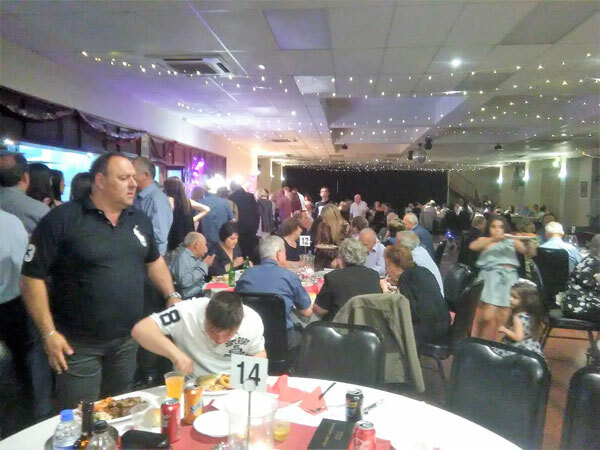 Hundreds of our members with their family and friends elected to spend their New Year’s Eve with our association which this year offered a buffet dinner and Music by the well known D J Valandi. 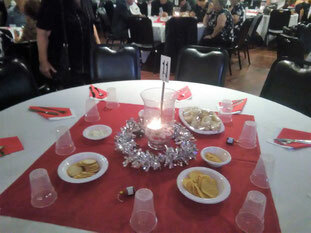 The Function Centre was elegantly decorated with the tables set in the Holiday season’s colours. 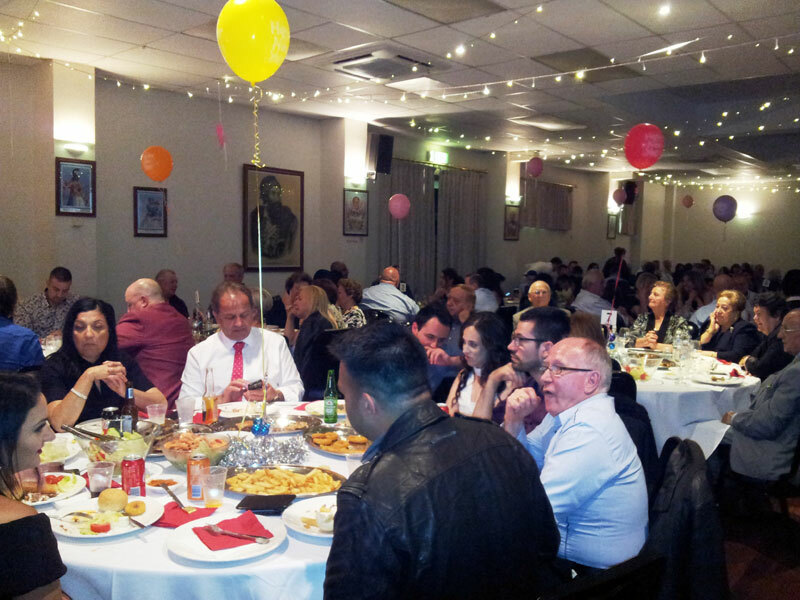 The guests many of whom were from the younger generation enjoyed a the sumptuous buffet spread dinner followed by a dessert of Greek traditional sweets which were prepared by the Women’s Auxillary. Shortly before midnight as is the tradition, the draw for the Vasilopita took place. The cake was cut in 12 pieces, one for each month of the year. 12 lucky people were given a piece, and a bottle of wine. The lucky winner who found the coin was given a special prize. The event would have not been complete without the traditional raffle which offered many prizes. The draw took place not long after midnight when the winners were announced. 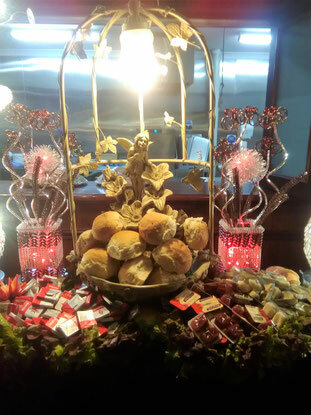 The New Year’s celebration culminated a successful 2018 and launched 2019. 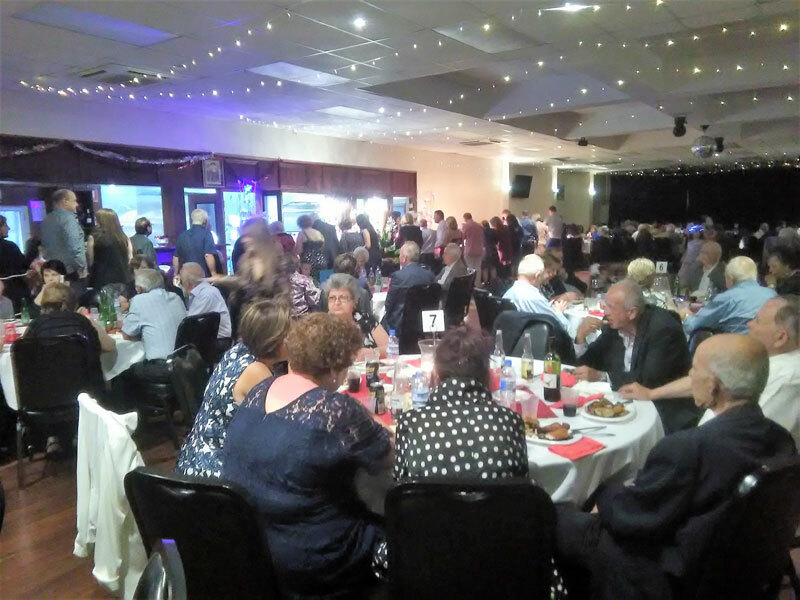 We would like to extend a huge thank you to our sponsors, members of the club who contributed to making this event possible and of course to all our volunteers who work tirelessly and support all the Association’s activities in 2018. 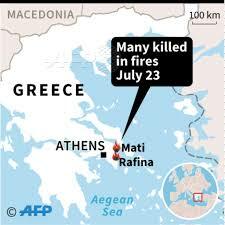 The July fires in Greece caused chaos, striking coastal villages popular with holiday-makers. The seaside town of Mati, east of Athens, has been the hardest hit. 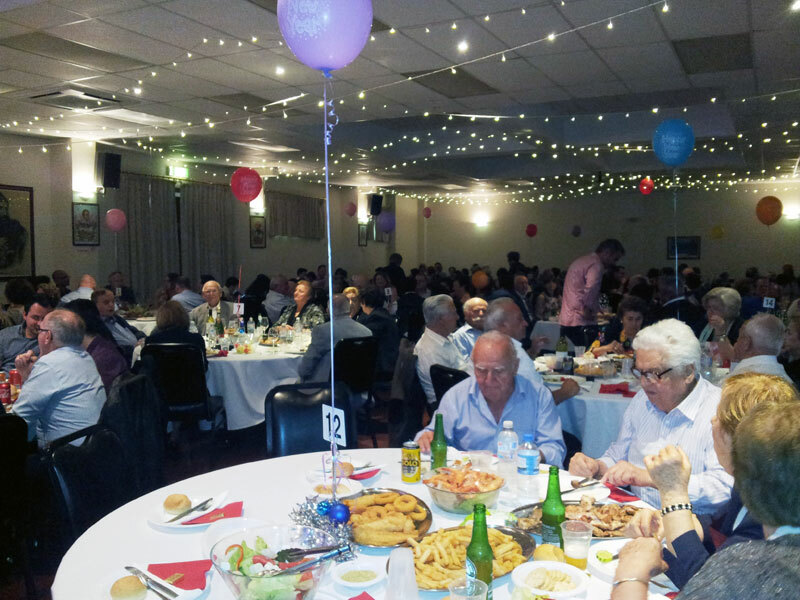 The Messinian Association of SA planned its own fundraiser, donating all the proceeds from their AUGUST BBQ. 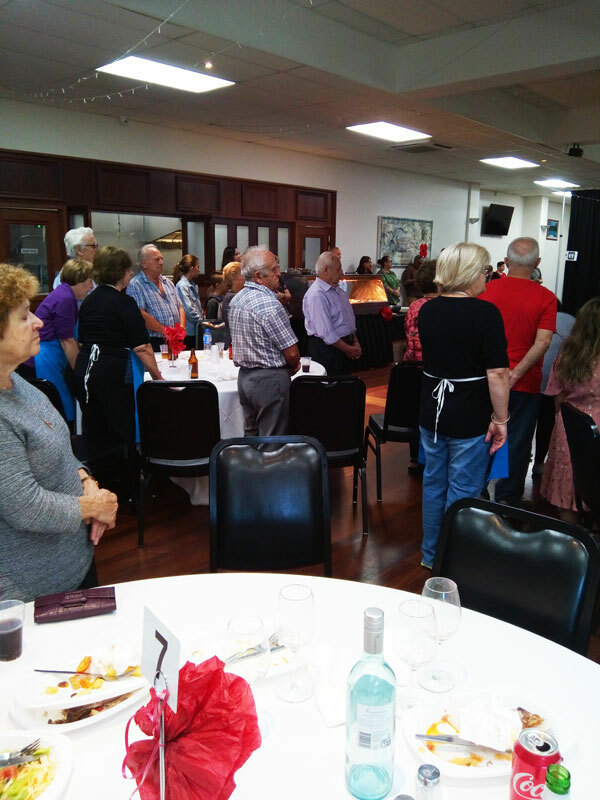 Messinians and their friends who attended the BBQ showed their solidarity and gave generously enabling the association was able to raise over $3000. The proceeds will go towards Dr. John Greenwood’s project in assisting and treating the burn victims of the tragic Mati fires which took the life 99 of our compatriots. 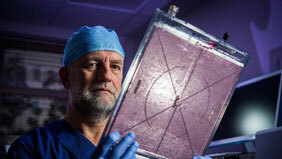 Dr Greenwood is the director of the Adult Burns Unit at Royal Adelaide Hospital and is a world renowned plastic surgeon. He travelled to Greece on a mercy mission to Greece to treat victims of the deadly wildfires taking with him synthetic skin and much need equipment. Dr John Greenwood who is celebrated for his world-leading work in burns treatment in the wake of the 2002 Bali bombings assisted surgeons in Athens treating many of the severely-injured patients who have suffered full-thickness burns. The Anzac Centenary, (2014 – 2018) has drawn attention on the commitment and sacrifice of those who served in the First World War. 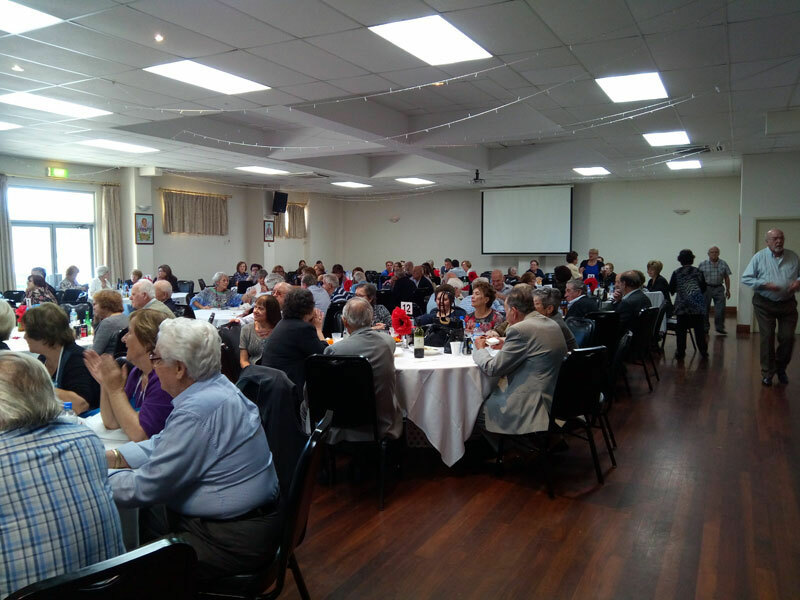 To honour this sacrifice the Messinian Association of S.A since 2014 had dedicated its APRIL BBQ in honour of the fallen Anzacs. This year the BBQ took place on the Sunday the 29th of April, and the guests of honour included members of the Committee of the. 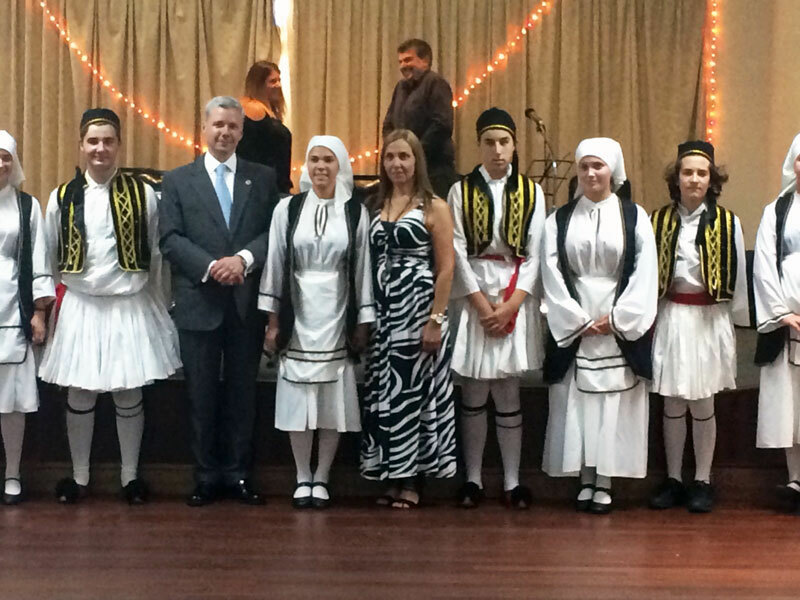 Greek Ex-Servicemen’s Association of S.A and the Consul General of Greece in South Australia. Mr. Andreas Gouras. The national anthems of Austalia and Greece were played followed by the last post and 2 minutes silence. 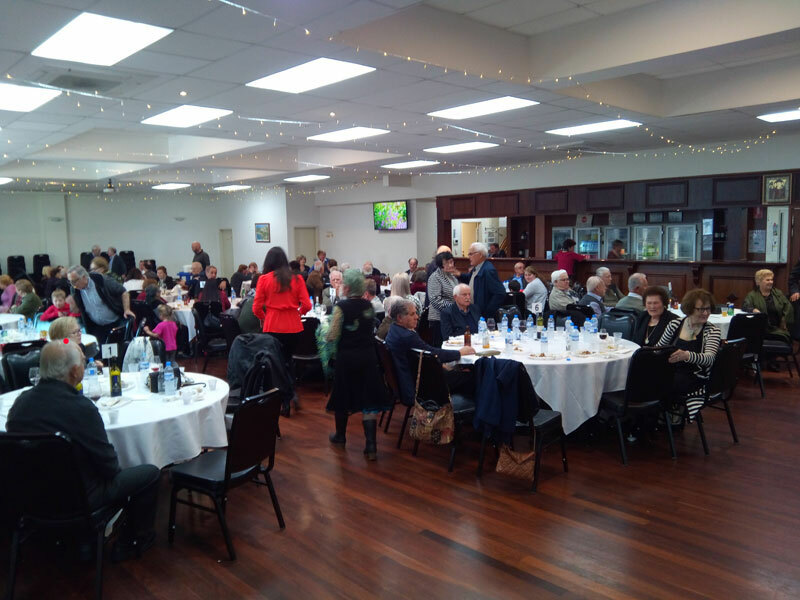 Next, the Consul General of Greece, Mr Andreas Gouras addressed the assembled guests and spoke of the importance of ANZAC day for Greeks in the homeland and in the DIASPORA. He pointed out that ANZAC day is a day of remembrance for all Greeks as Greece and AUSTRALIA have been allies in both WORLD WARS and KOREA in the last century. The soldiers of both countries have fought alongside each other in all the aforementioned wars both on Greek soil and abroad suffering the horror and consequences of war. 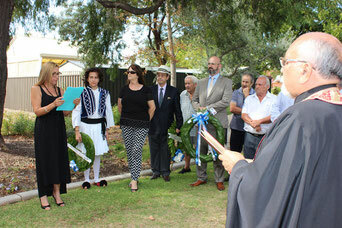 Concluding Mr. Gouras said that the ANZACS sacrifice is and must be remembered by all Greeks. 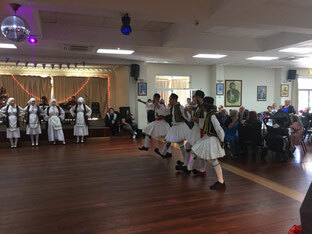 After the lunch the guests were entertained by a performance of Greek traditional dances by the Messinian Dance School. 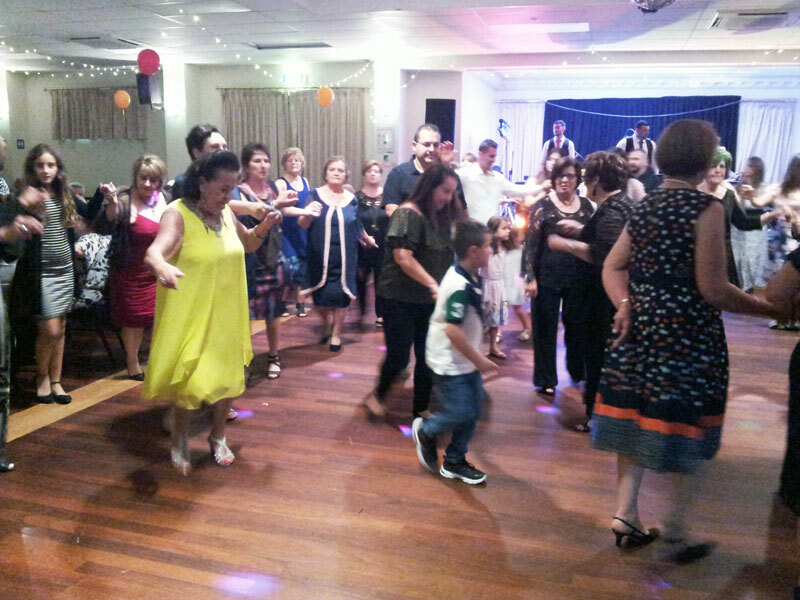 Following the performance the guests all joined in for some Greek dancing. 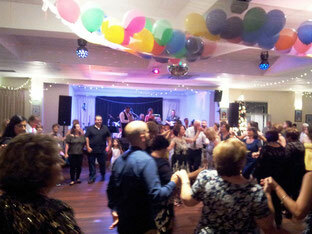 The Messinian Association held their annual New Year’s Eve Dinner Dance at the association’s function centre. The Function Centre was decorated with blue and white balloons and the tables were set with the Holiday season’s colours. 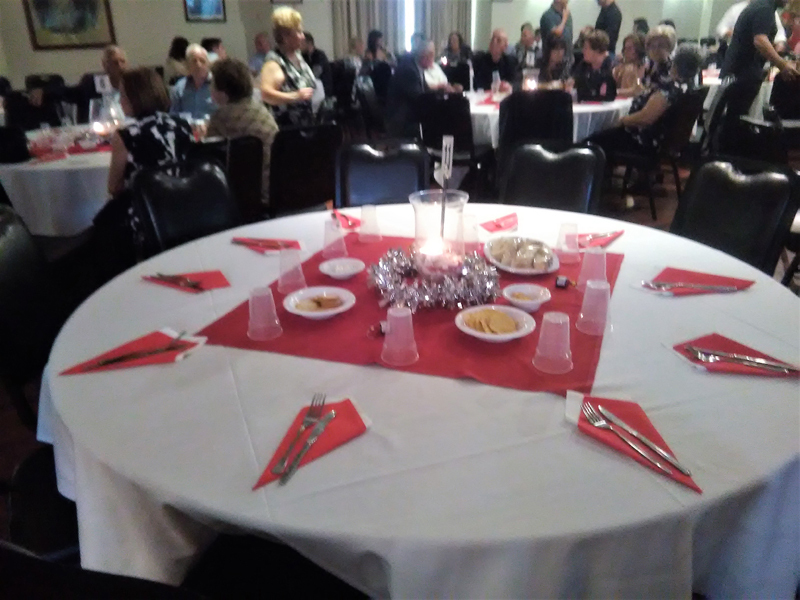 The tireless Women’s Auxillary prepared the 3 course meal based on the traditional Greek food served at this time of the year. 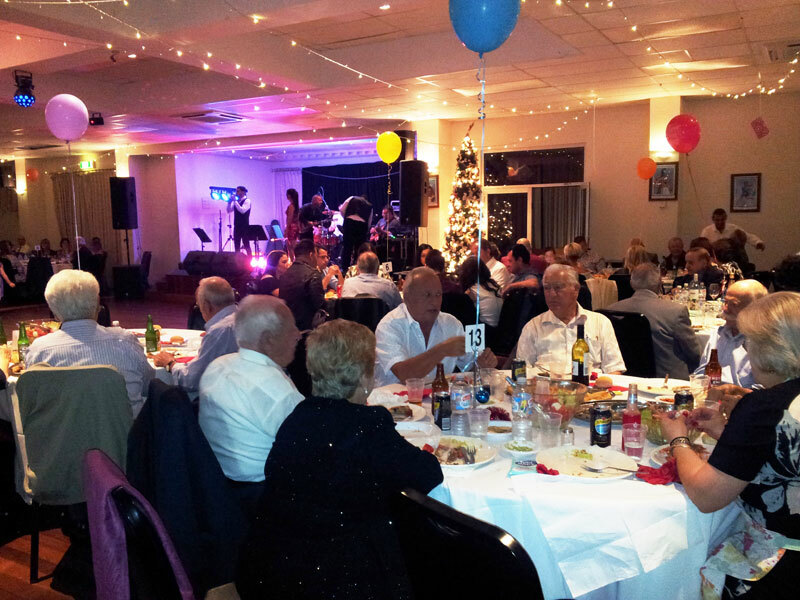 The band Floga played to a full house entertaining the guests with the latest Greek music as well as traditional songs. 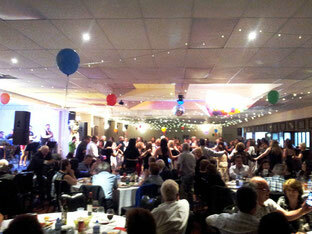 Families and children and guests of all ages after enjoying a sumptuous meal joined in the revelry and danced non-stop. 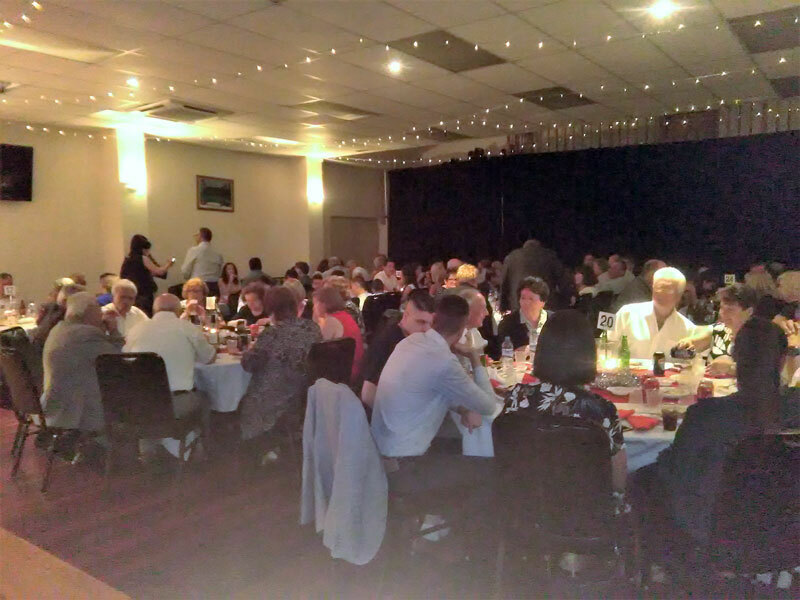 Shortly before midnight the door prize was drawn followed by the draw for the Vasilopita. The cake was cut in 12 pieces, one for each month of the year. 12 lucky people were given a piece, and a bottle of wine. The lucky winner who found the coin was given a special prize. As midnight approached, the President Mrs. Martha Ioannides made the countdown to midnight. As the clock struck 12 the guests embraced and welcomed 2017 with Agios Vassilis also making a surprise visit. The event would have not been complete without the traditional lottery with many large prizes. The winners were announced shortly after midnight. For those who had the stamina to stay on the festivities went long into the night. 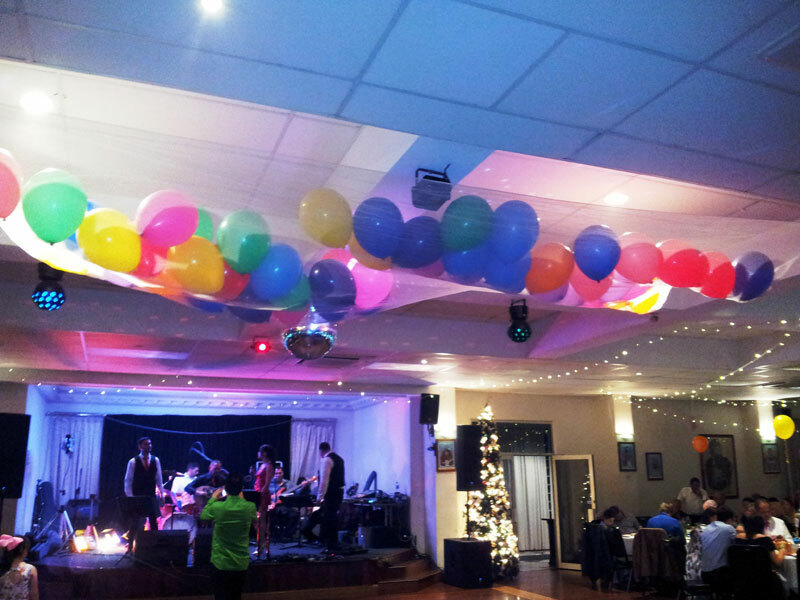 The New Year’s celebration culminated a successful 2017 and launched 2018. We would like to extend a huge thank you to our sponsors and members of the club who contributed to making this event possible and of course to all our volunteers who work tirelessly and support all the Association’s activities in 2017. Many happy returns to all those celebrating their name day on New Year’s day, Vasilis, Vasiliki, Vasileia etc.